The unimaginable happens in this book. I knew it was going to happen, yet I still wanted to read it. How would the author handle it? Would it feel right? Would everything be conveniently fixed, or would it be depressing as hell? Everything starts out okay. David and Anne are on vacation with their two young children. So typical; they’re trying hard to have a good time, but irritating things keep happening, and going long distances with young kids never really works out well. Any reader with a family will recognize the tension in the air, yet the hope that the vacation will turn out great in the end anyway. Anne doled out the food. They were all tired and cranky. Nat wanted McDonald’s. Matty had just woken up from his nap and cried for no apparent reason. David’s wife was losing patience, and inwardly he was disgusted with his family’s lack of stoicism. It is as they are packing up from a nice day at the beach that the unthinkable happens. At first David panics, but then he becomes calm with “the cold stone of inevitability”. The rest of the book explores the fall-out of this event for each remaining member of the family. Because this has never happened to me (or anything even close) I couldn’t tell you how it would feel, or what would happen next. But, I can tell you that what the author wrote about it felt real to me, it felt like something that might happen. It broke David’s heart to see his son this way, his eyes lingering on his father, squeezing everything possible from that moment. It broke his heart, because he knew that one day Matty would discover what David already knew. Everything eventually came to an end. Even love, And if it didn’t end, it twisted and became sharp and ugly, and then you simply wanted it to end. David used to love to teach, but lately he has been taking short-cuts and his students have been noticing the smell of alcohol on his breath. Anne goes through life anxious and terrified; she develops a tick in her eye that compels her to carry out unnecessary actions such as counting her swallows and tapping on doorknobs. Both Anne and David have not touched or had a real conversation in months. This is a tough story. There were tears and there was frustration. I wanted to shake the characters and wake them up; at the same time I knew that I would probably be acting the same, or worse, in their situation. So, I couldn’t really blame them. But, I wanted them to think about Matty. What about Matty?! I don’t want to give too much away, but the biggest thing in a story like this is the end, right? I found the ending to be realistic, yet hopeful. Things end up the way you might imagine them to end up if this was real life. You might want to have someone around who is a good hugger once you’re done reading this book. You might need one. This book is not as depressing as I’ve made it sound. Yes, it’s tough, but there is humour in it, too. The humour is in the way Anne picks up a hunk of cake with her bare hand and shoves it in her mouth, the way David keeps getting caught in questionable situations. These characters are relatable; they have their faults and their weaknesses, many of which we might recognize in ourselves. You won’t be able to help but hope things turn around for them, sooner rather than later. You might be disappointed by how long it takes, but you might also recognize the truth in it. Yet, despite the long road ahead, the absurdity of life continues to plague them even as they try to keep away from it. The world is waiting for them when they’re ready to join back in; the unlikely friendships, the smiles that sneak up out of nowhere, the love that comes back as they re-discover who they are and that life is not finished with them yet. This is the first book I’ve read by Leo Brent Robillard, but it won’t be the last. 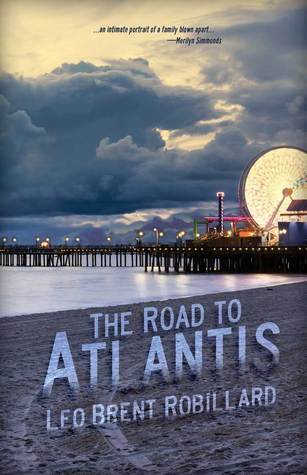 My review of The Road To Atlantis is part of a week-long blog tour. Other stops on the tour include literallykatrina.com (podcast – January 11, blog – January 12), puddlewonderpress.com (January 14), and turnstonepress.com/bird-on-a-wire.html (January 15). 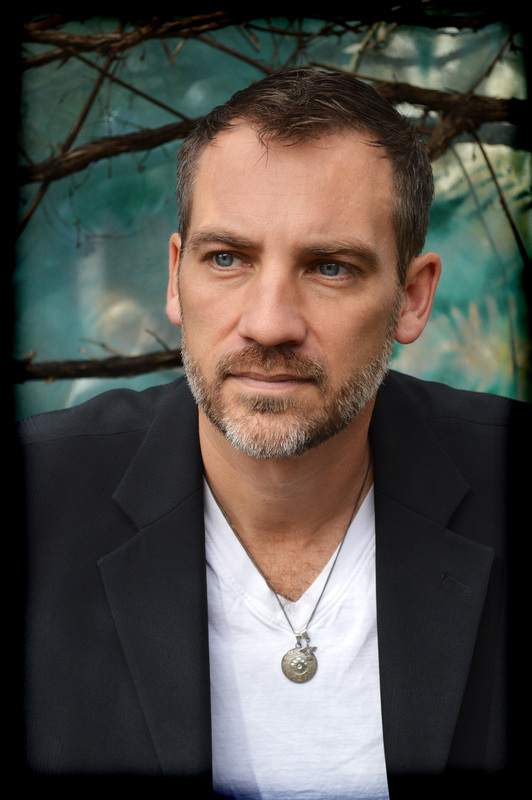 I also came across this interview with Leo Brent Robillard on Monna McDiarmid’s blog, in which Robillard talks a little about his writing process, the character he could write another novel about, and about how none of us can “be the people that we are without having lived the lives we have lived“. And, here is the story behind the story of Robillard’s new book. Thank you to Turnstone Press for sending a copy of the book for the tour! Nice review of a book I will not read. I guess I don’t read the difficult stories because real lives – one’s own, those of people we know, and those we read in the news – are tough enough. I get that. I find that reading about stories like this help me to imagine what other people must be going through, since I (so fortunately) haven’t had anything like that happen to me. Oh, I don’t know if I could read this… Maybe it hits too close to my fear that something like this might happen to me. The event itself happens at the beginning and is over-with. The main part of the story is about what happens after, where do you go from there, how do you keep going after tragedy hits? And, this is where his books shines. It’s still heart-breaking, but worth seeing how it all plays out. The reason he wrote about it in the first place is because the scenario at the beach did happen to them, but then turned out okay. But that started him wondering “what if…”. In the end, the message I came home with is that life will go on and one day (eventually) you will realize you want to be a part of it again; that life is still worth living. I’m so glad I’m not allowed to get many new books this year, because I would like to read this but I also hate when books leave me an emotional wreck – which is what it sounds like this one would do. I found that there were emotional parts in the story, but the end itself didn’t leave me a wreck. Some of the events that take place in the second half of the book help to distract you from the sadness during the first half. Ooh I do like the sound of this one although I’d have to be in a good place to tackle it! I’m putting it on my wishlist now! This sounds like a tough but rewarding read. Thank you for sharing!